Peter Kimptons new Book on Christmas Cracker Traditions. THE DEFINITIVE STORY OF A VERY ENGLISH TRADITION - ALL YOU COULD WISH TO KNOW. 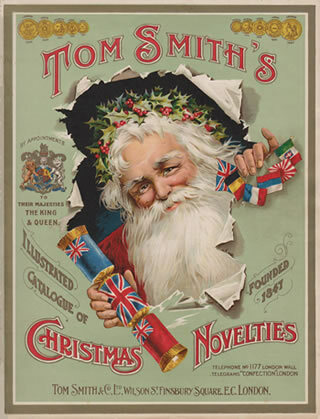 From the worlds leading expert on the history of the Christmas Cracker, author Peter Kimpton brings you his fascinating, in depth history of Tom Smith the man, his accepted invention and the Christmas Cracker industry since the 1840’s - in theUK, Europe and North America - featuring hundreds of as yet unpublished facts and many illustrations. After many years research, I am at last able to offer a comprehensive history of the man and his accepted invention, covering the development and spread of the Christmas Cracker both here in the UK and around the world as far as it is known. 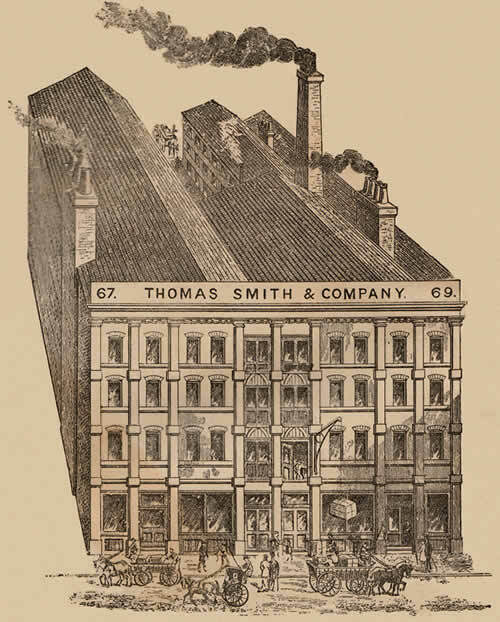 Apart from the basic history of Tom Smith from the time when he first set up in business on his own account in the later 1840’s (and who, during his sadly short life came to be known by many Victorians as “The King of Crackers”), my book, amongst other things, covers his company’s wonderful box graphics, various competitors along the way, mergers, takeovers, wartime factory destruction both in London and Norwich, together with the personal reminiscences of skilled and knowledgeable people who worked with the UK Cracker industry over many years. Did you know that the great English artist A.J. Munnings actually designed Cracker boxes in his youth? Have you ever heard of “The Castle of the Cracker King.” What contents go into the Royal Crackers? Read about the Crackers produced for Prince Charles and Princess Diana’s wedding. What do know about Snaps and Scraps or "Animates" Crackers-created in conjunction with the famous Wade Pottery, producers of the renowned "Whimsies". How about love Mottoes and Corny Jokes? Could some of the Tom Smith’s box designs be classed as racist? Who were Eliza Collingham, Matilda Brown and G. Sparagapane? 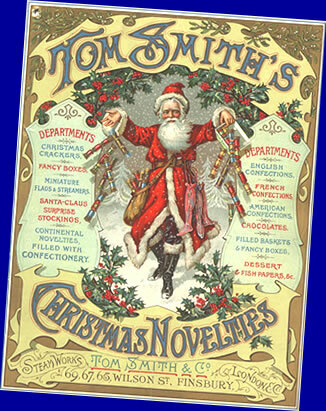 Did Tom Smith really invent the Cracker at all? If you are in any way interested in the great English tradition of the Christmas Cracker, then this book will tell you all you need to know.